An initiative that began in Brick and is now being expanded to more communities across New Jersey earned its organizers an award this week. Blue HART – which stands for Heroin Addiction Recover and Treatment – is a groundbreaking program that allows those addicted to opiates to come to the police department without fear of arrest and seek help. The program can also be offered to people found to be in possession of drugs elsewhere. The participants are immediately examined and transferred to an inpatient recovery facility, whether they have medical insurance or not. 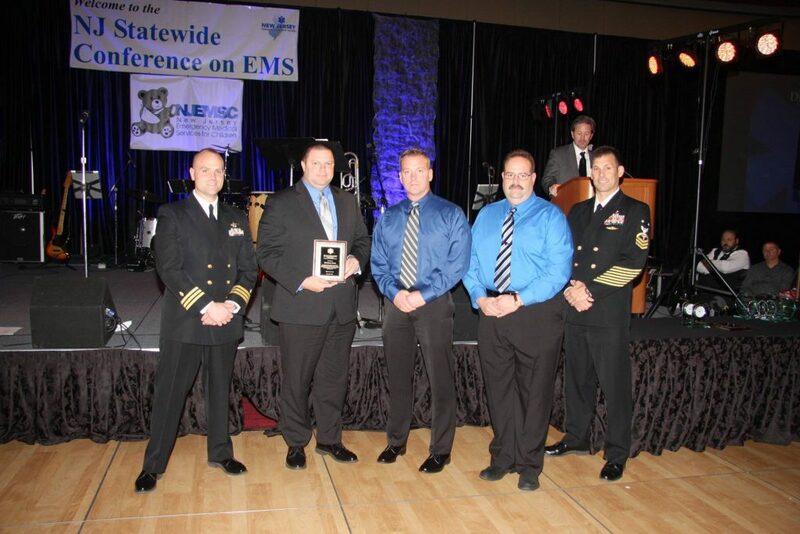 Members of the Brick Township Police Department EMS recently attended the statewide conference Atlantic City where they received the Directors Award for the program. The program, officials said, has now brought more than 150 people into rehabilitation and treatment for drug abuse. The program is administered at Brick Police Headquarters on Thursday between the hours of 9 a.m. and 9 p.m. Brick Police Director of EMS Robert Contreras, Brick Police Lieutenant David Forrester, and Brick Police Deputy Director of EMS Michael Botts accepted the award.